 Welcome to CrossFit Glen Burnie Nutrition Coaching Program! Our Nutrition Coaching Program at CrossFit Glen Burnie, is truly one of a kind. Our Nutrition Coaching program is designed to provide individuals with an easy, science-based approach to nutrition and wellness, using simple behavior modification strategies to create positive change without the stress of “dieting”. Imagine the confidence you could have walking into the grocery store or a restaurant knowing exactly what you should eat to feel great, look great! The internet is filled with diet plans, recipe plans. There are a lot of programs out there telling you what NOT to eat or how to replace meals with supplements, but what if we could attain this confidence through learning what TO eat and using whole foods with limited ingredients? Behold, a teaching program to build life-long skills one step at a time! Different packages are available based on the client’s needs. Ginger graduated from our On Ramp Program in January – nominated as “Class President” by her peers. Ginger lost 9.2# and 3% of Body Fat. She Gained 1# of muscle. She says that she feels AMAZING! Ginger has been meal prepping and carefully selecting foods that will fuel her body while also helping her to move towards her goals! 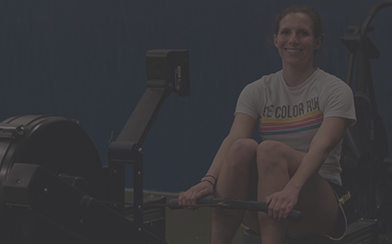 She has registered in the 2018 CrossFit Games Open. Brody and his family participated in our 28-Day Nutritional Challenge. Brody is also one of our CrossFit Pre-Teen Athletes! During the 4-week challenge, Brody lost 7.5″ and 1% of Body Fat. He made it on the Honor Roll at school, improved his self-confidence, no longer uses his inhaler, and set a 30# personal record on his deadlift. Brody and his family now weight and measure their food, eat much less processed foods, have cut out added sugar, and eat a fair share of veggies!